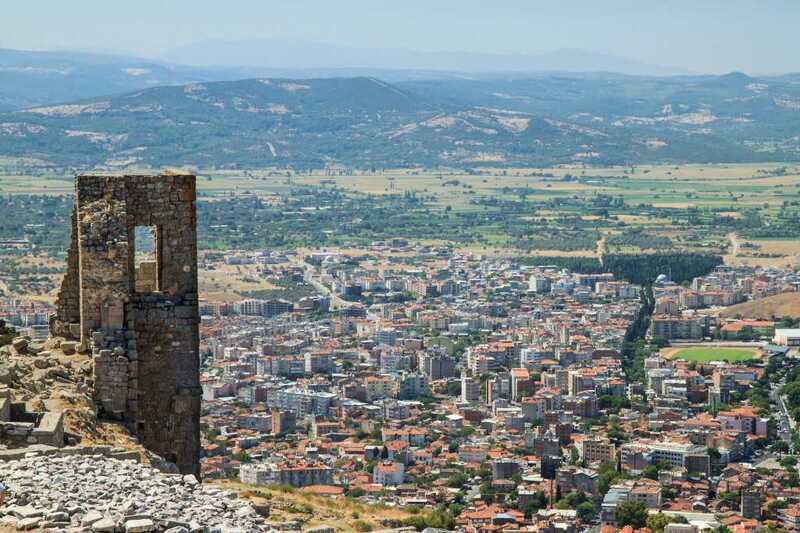 Pergamon and Bergama, the names of a great city, located in the Aegean Region , 100 kms west of Izmir, was established first on a hill over 400 metres from sea level , then enlarged to a great city between Bakırçay and Kestel rivers. 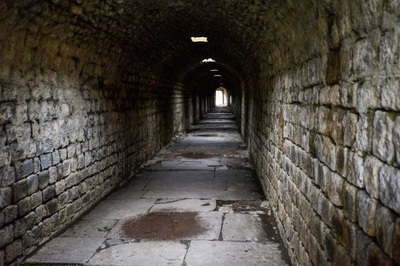 Bakircay is a depression fracture of the moat, is subsequently filled with silt , because of the faults on the line the city has 20 thermal sources that caused the city of Pergamon became of the important healing center. Today it belongs to province of greater Izmir. Pergamon is one of the most important settlements in mankind so the history is really old. Pergamon has been the home of great civilizations and great kings with exceptionally beautiful nature in the west of the mystery East which grabbed so many attacks and seiges due to strategic position. Once upon a time, Pergamon was noted for its parchment alternative source of papyrus from Egypt, the second biggest library with 200,000 volume of books in antiquity, a well-known spa center which used to be Mayo clinic hat had a good reputaion for medicine, trade center of the West as slave center of the ancinet world, the place of Satan lives with 33 pagan gods, military base of Roman army in Asia Minor, the source of copper and gold mines, the place of Dynosos feasts and many other faunctions has made Pergamon one of the wealthiest city of the ancient world. 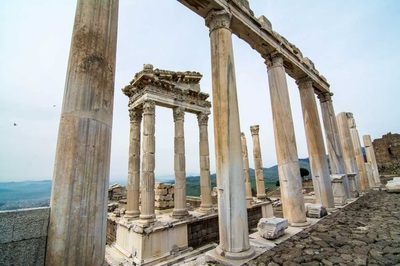 Ion, Hellenistic, Roman, Byzantine, Seljuk, Ottoman periods, which have the most impressive monumental works of arts, cultures and beauties in Pergamum, can be still visible even today invites thousands of visitors who climb up to 1200 feet above the sea by cable in four-minute short journey first to see the ruins of Acropolis, then pay a visit to Asclepion to listen the healing mystic therapies in tunnels, later to read the scripture of the Bible in Red Square by its walls , finally to walk in Seljuk and Ottoman town to admire narrow streets with splendid old Turkish houses and hand woven colourful rug stores that eveyone feels the smell of the rich history past. 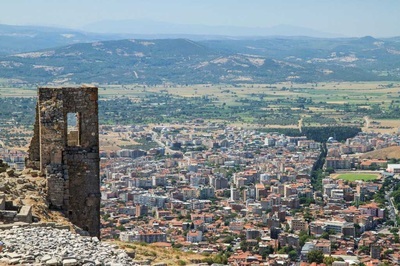 First settlement in Pergamon goes back 1100 BC and the name of the city means highest point. 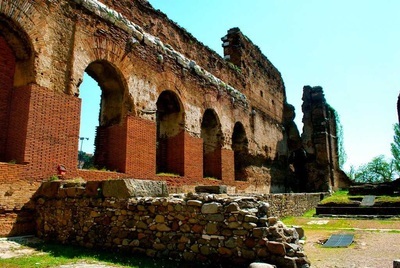 According to the archeological digs, it appears as a city in the time of Lydians in 546 BC and became as a starap city of Lydian kingdom. As other Ionian cities, it was taken over by the Persians called as dark age which took about three hundred years. Persians made a great damage and robbed the city of Pergamon for a long time. 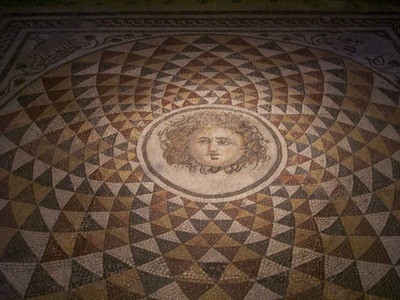 In 334 BC there was a savor in whole Asi Minor from Macedonia called Alexander the Great who he libareted all major Ionian cities including Pergamon. One of his generals, Lysimachos, used Pergamon as a base for battlefields due to strategic location. Alexander the great passed away in India in 324 BC and his great empire was dividen into four in a short time and shared by his four generals. Lysimachos became the king of the area and he began fighting with the other generals. Lysimachos trusted one of his commanders and gave about 9000 talent gold (about 10 million US dollar today ) as a sacred treasure to Philateros before dying. In 282 BC Philateros declared himself as the king of Pergamene Kingdom by using the great amount of Money to create a new capital city so he is accepted as the founder of Pergamene Dynasty. After Philateros, his son Eumenes I became the king and he is folllowed by Attolos I, Eumenes II and Attalos III from 246 BC to 133 BC. Since the beginning of the 2nd C BC, the Pergamene kings got on well with the Romans so the last king, Attalos III, bequethed Pergamon to the Roman Empire so a big country like Canada today was given without war to them so the Roman era began. In Roman period, Pergamon became of the wealtiest cities of Roman province of Asia and has always been in competition with Ephesus. 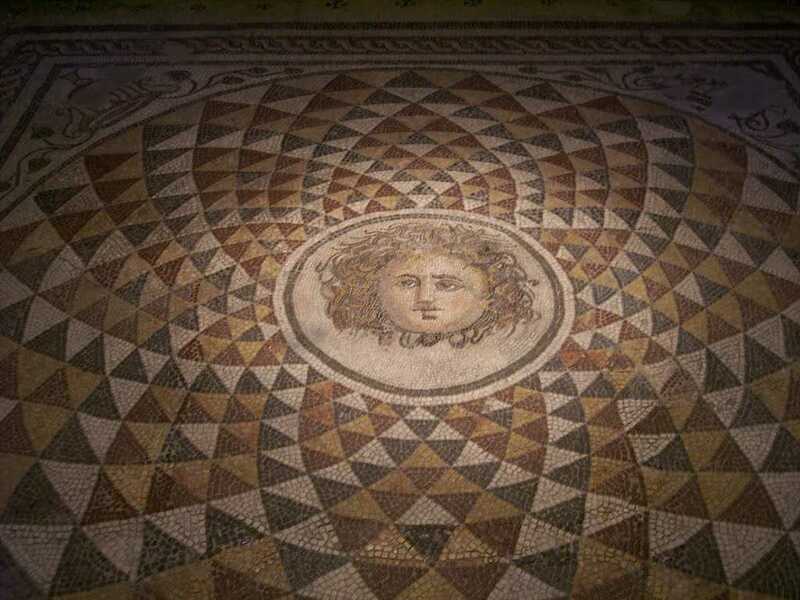 Altough Ephesus was declared as the capital city of Roman Asia, Pergamon was home of many great feasts of pagan gods, a health center in Asia, great source of agricultural products and wine and a trade center. It became the 2nd church of Revelation so John the evangelist paid a visit and gave a letter to the church elders. The glory was ended up in 400 BC after Roman empire was divided into two , the city was ruled Byzantines, then in 716 under the rule of Arab raids, then Byzantines took over the city back. In 1317 the time when the Ottoman period began. Acropolis-upper city was left and Pergamon began expanded on the plateu with cotton and grape fields. 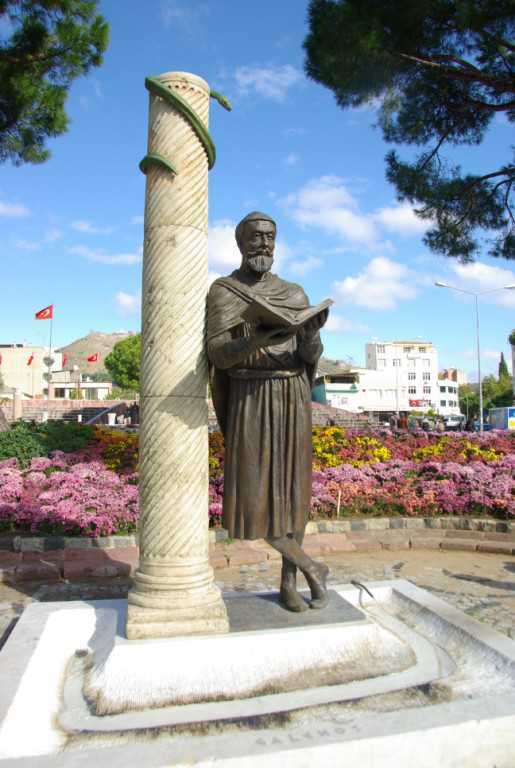 In 1923 , Turkish republic proclaimed by Atatürk and the city was called as Bergama .